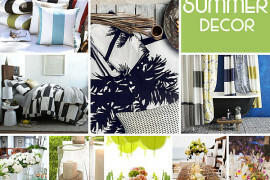 Focus on affordable furniture and decor finds! January is a great time to take advantage of amazing deals. There are plenty of after-Christmas sales, and retailers work hard to keep customers shopping despite their post-holiday fatigue. 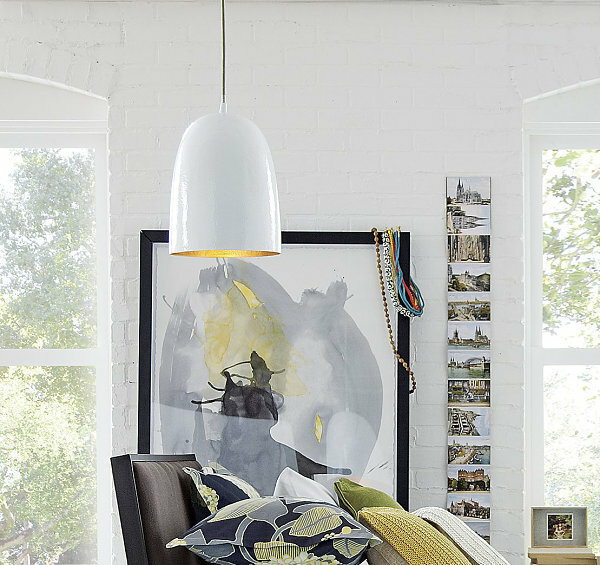 Today we spotlight 10 fabulous pieces that you can welcome into your home without buyer’s remorse. In fact, you won’t pay more than $250 for any of these items (and most are far below that price)! They’re amazingly stylish. They’re amazingly affordable. And they’re a great way to spruce up your interior for the new year. Happy shopping! Can I share one of my first design highlights of 2014? 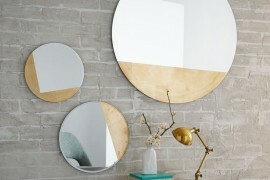 It happened when I was checking out the CB2 website and saw these words at the top of the page: “just arrived: more than 500 new items for spring.” I had to do a little happy dance in my living room! 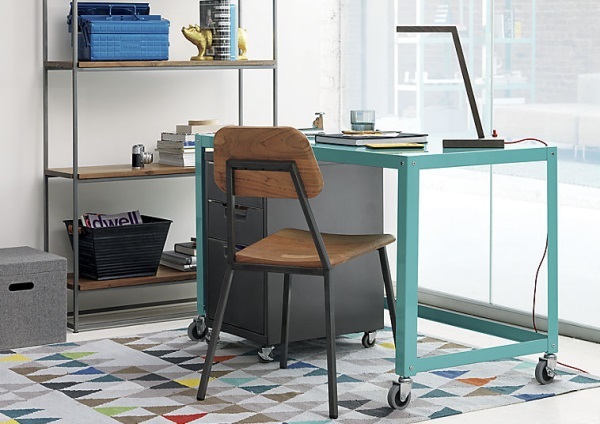 One affordable item that caught my eye: the metal Go-Cart Aqua Desk, complete with two locking wheels and an aqua powdercoat finish. 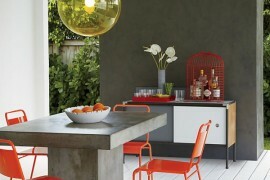 I could be productive in the new year with a work surface like that! Another retailer that’s currently offering some amazing budget-friendly finds? 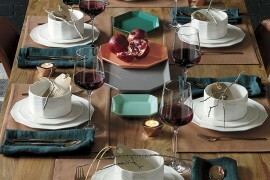 Crate & Barrel! 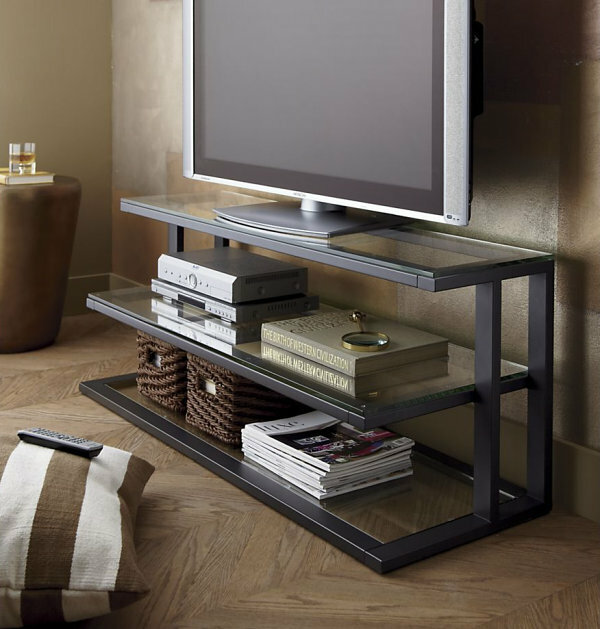 There’s a fabulous sale going on as we speak, and I was delighted to discover this Pilsen Graphite 52″ Media Console on sale. Designed by Mark Daniel, this “easy on the eyes” glass and steel piece currently has 1/3 of the original price knocked off, making it easy on the pocketbook! 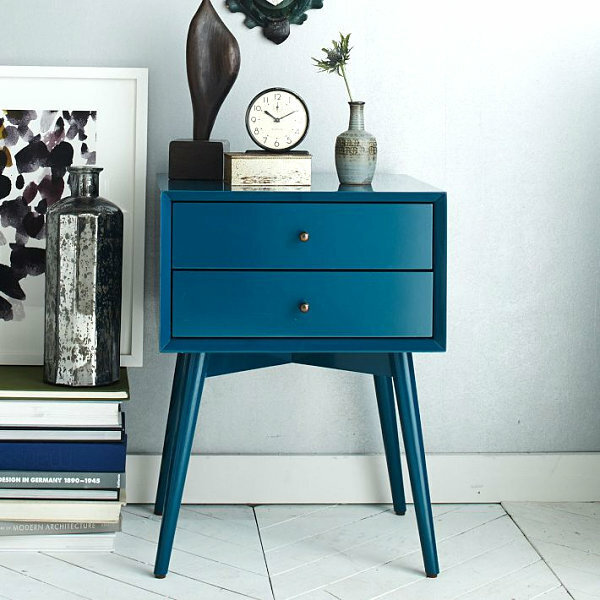 If you’re in the mood to shop sale items, you’ll be delighted to know that this Mid-Century Nightstand in Thai Blue from West Elm is now offered at a highly reduced price. Already irresistible with its rich color, slim angled legs and antique bronze knobs, the piece is even more desirable with its sale price tag in place! Anyone looking for a new rug? Since I moved this past summer, I’ve been making due with years-old rugs that don’t quite fit my new space. Perhaps 2014 is the time to take things up a notch with an eye-catching selection to brighten up my floor. 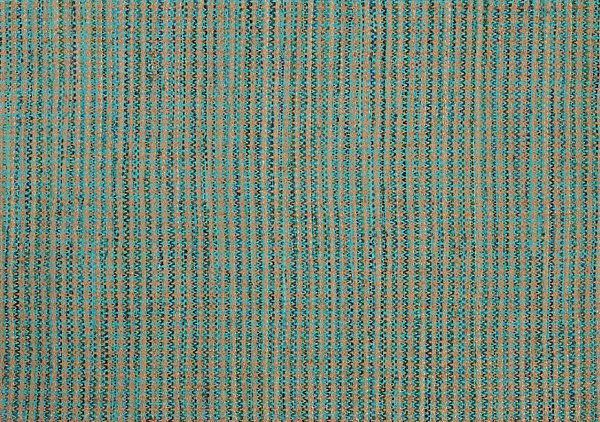 This Chempi Aqua Rug from CB2 is crafted of recycled cotton in shades of aqua and green. 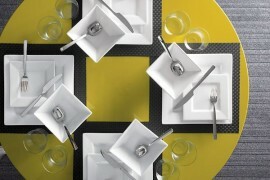 The design manages to be lively without taking over the room. 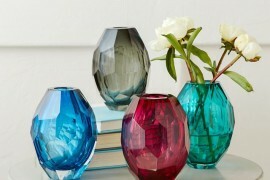 Perfect for adding a dash of color to your modern space! 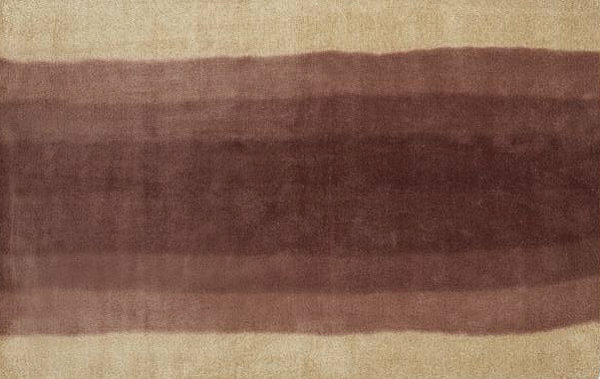 I’m seriously considering purchasing the rug below, also from West Elm. Say hello to the Square Tile Block-Printed Dhurrie Rug, which is undeniably affordable at a sale price of $69.99! And that’s for the 5′ x 8′ size! 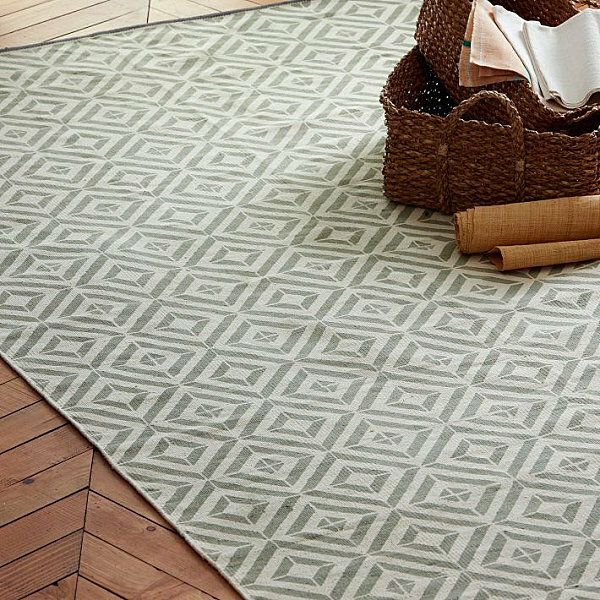 The rug’s geometric design was hand block printed by artisans in Jaipur. 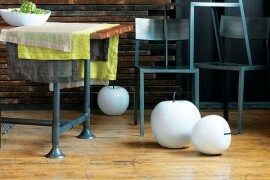 Fabulously contemporary yet earthy, don’t you think?! 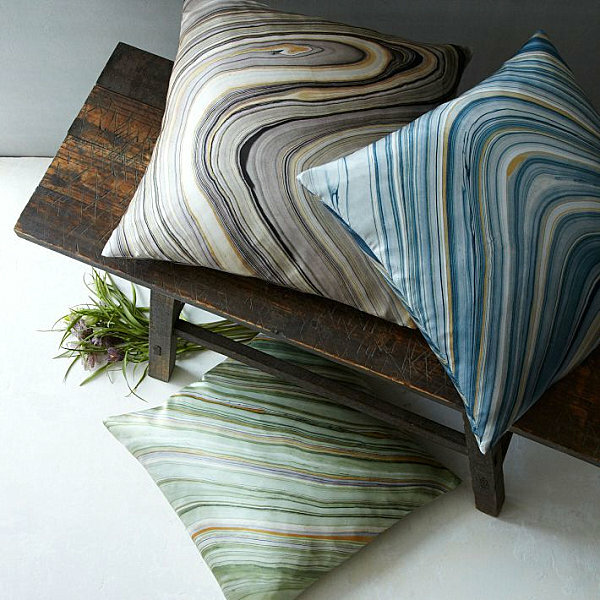 How hip is this Tryst 16″ Pillow from CB2?! 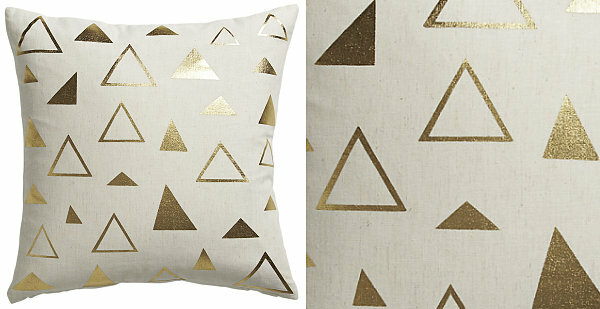 An affordable new arrival, the item features a design of gold screen-printed triangles on natural linen. And for one great price, you get both the pillow cover and the insert! We end today’s post with a duo of colorful vases that have the power to transform a lifeless corner into a vivid artistic display area. 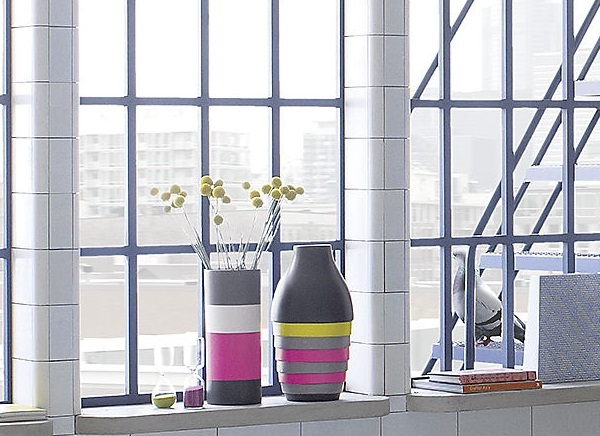 Say hello to the Cold Stripes Vase (below, left) and the Xystum Color Block Vase (below, right), available at CB2. 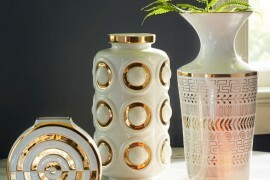 These earthenware pieces were handmade by Portuguese artisans! Anything catch your eye in today’s post? I know I have a few possible purchases on the horizon. And don’t forget that you can also achieve your design dreams on a budget by getting creative with some clever DIY projects! We’ll be bringing you more great decor finds and do-it-yourself creations throughout 2014!